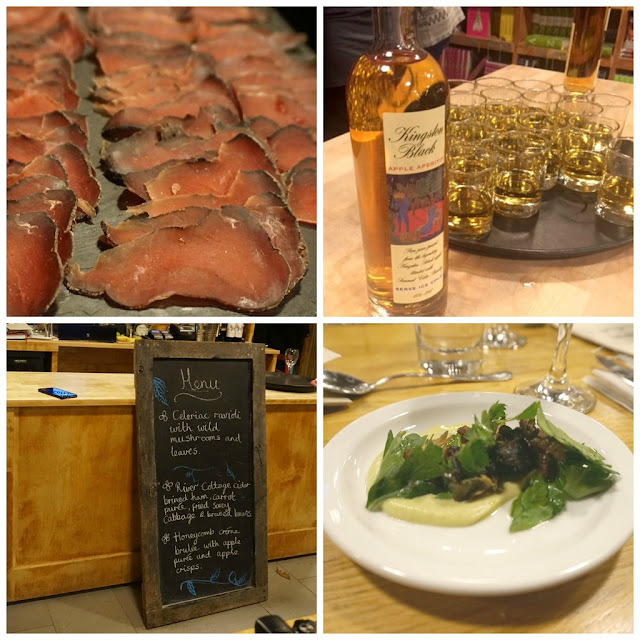 Last week I was lucky enough to visit River Cottage for the second time. This occasion was to enjoy a festive winter feast. 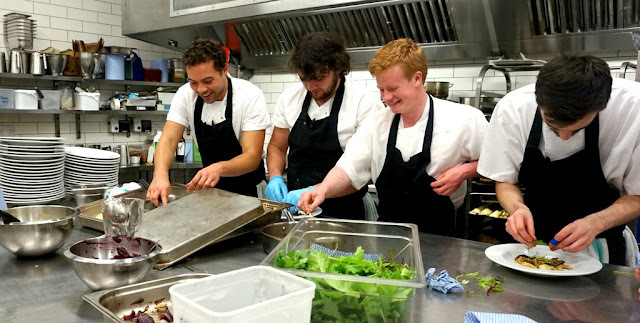 Situated on the Devon and Dorset boarder, River Cottage HQ is the base of their Cookery and Chef's school and offers a unique dining experience. The ethos behind everything at River Cottage is to serve wholesome, locally grown organic food. Quality is key. The chefs can tell you where every part of the meal has come from. It is their love and enthusiasm for this way of life that seems to make the whole place so special. The food is some of the best I have ever eaten. The nearest town to River Cottage is Axminster. I stayed in a lovely B&B called Spillers Farm which is about 10 minutes driver from River Cottage. The owners agreed that River Cottage really was a special place to have a meal. Late afternoon saw me take the bumpy tractor ride down the hill to the River Cottage. We had a quick wander round before we were given a demonstration on Brining. This is essentially preserving meat in a salt water mixture. It is not something I had ever considered doing myself before. Then they mentioned adding gin to the mix if you were using chicken and my ears picked up! Watch this space. 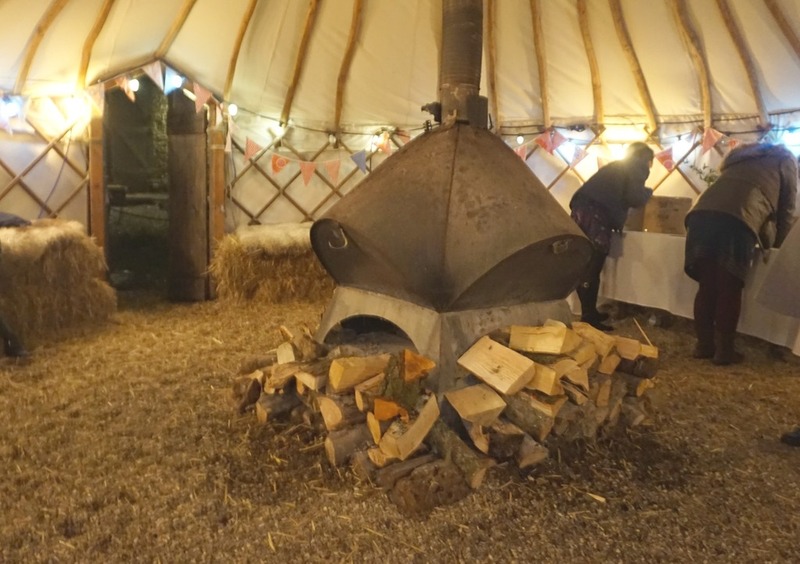 We then headed into the warm and cosy yurt for a chat before sitting down for our special feast. I can't stress how good the food was. Canapes including mussels were handed round. I don't eat or like mussels. Correction. I do eat and like mussels if I am at River Cottage. Next was a rabbit one. Again I would say I don't eat rabbit. When you are at a place with this standard of cooking then you will try it! And guess what, I do eat and do like rabbit. We were treated to a locally produced apple aperitif. Ice cold and sweet. Whilst we were busy chatting and enjoying the canapes, the chefs were busy plating up. 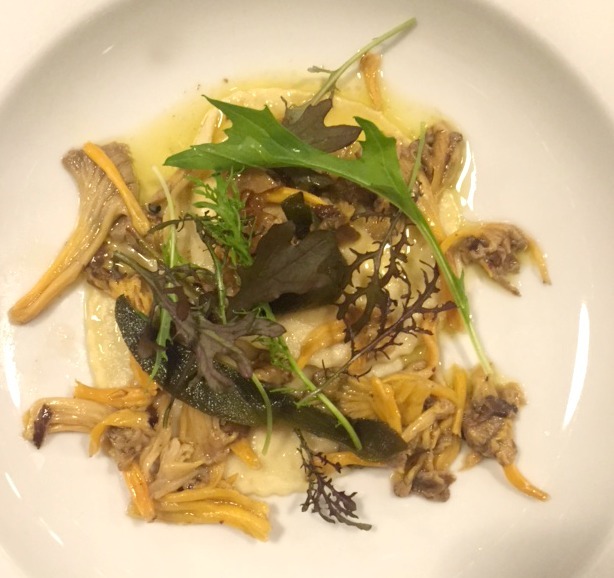 The starter was a mushroom ravioli that was packed full of flavour. Next up was the most amazing piece of pork I have ever eaten. Sweet and sticky, and beautiful. Often I find desserts at a restaurant are usually a let down. Well not at River Cottage. This was hands down the best creme brulee I have ever eaten. (And trust me I have had a fair few!) The dessert with caramel and apple flavours was simply delicious. Great food combined with fantastic company meant I had a beautiful evening. I had the pleasure of chatting to the lovely Pippa who writes recipes at The Slimming Foodie, Natasha who has great recipes and photography at Kitchen Sanctuary and the Nathalie from the Intolerant Gourmand for any free from recipes. As the evening drew to a close I was sad to be leaving such a special place. 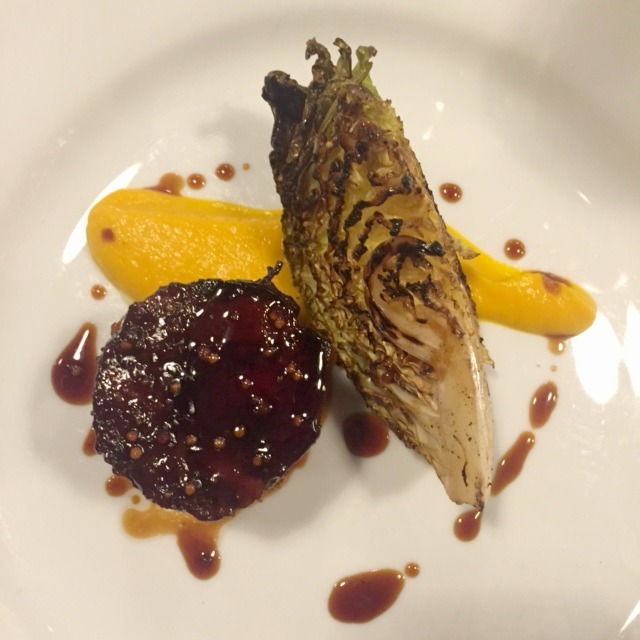 If you have the chance to visit for a meal or a cookery course then take it. You won't be disappointed.